Stella Dimoko Korkus.com: Senator Shehu Sani Blasts Governors Who Ignore Their Burning States And Spend Time In Abuja.. Senator Shehu Sani Blasts Governors Who Ignore Their Burning States And Spend Time In Abuja.. 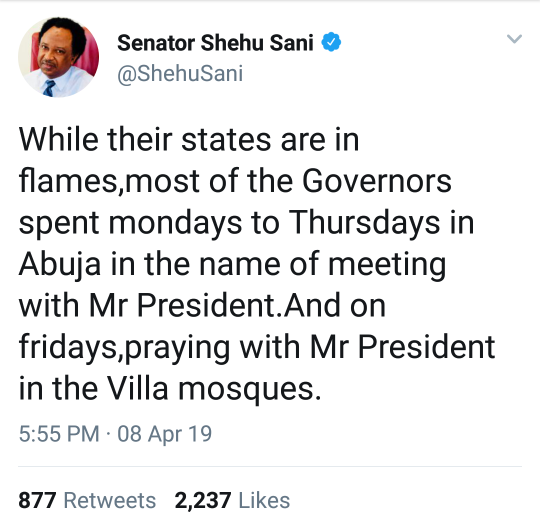 The lawmaker representing Kaduna Central, Senator Shehu Sani, has floored Governors, who spend most of the week in the nation’s capital, Abuja, while their states are “on fire”. The thing is,we have to hold our immediate leaders accountable.We have councillors/house of rep members who can easily take the reports bordering on bad roads,electricity,dilapidated buildings/securityetc to the Local government chairman/senators who in turn forward such issues to the Governor when seen that it's beyond him/her;the governor in turn relates to the presidency. 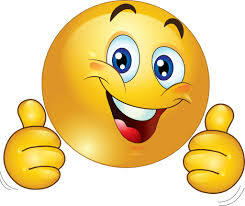 Our leaders should account to us and not parade themselves like peacocks! You live on MY TAX for pete's sake,show a little empathy! Very correct sir, most northern states governors are sitting on this table. Na their work.